Day 1 at the Sprint Center for the 2016 Big 12 Conference Championship was a huge success. Kansas State and TCU both advanced with big victories. Now, day 2 kicks off with some marquee teams taking the court for the first time. The tournament opens up play on Thursday with top-seeded Kansas taking on rival Kansas State for a chance at the semifinals to take on either Texas or Baylor. The Jayhawks defeated the Wildcats in both meetings this season, the latter coming on the road in Manhattan where Kansas State played Kansas down to the wire. The Jayhawks are a much better offensive team, but KSU is known for its defense and will try to limit KU’s scoring opportunities in order to keep the game close. In game 2, Baylor and Texas will face off. Both teams have enjoyed a successful season and have rosters capable of winning this conference tournament. Baylor, led by Taurean Prince, has a dynamic offense and plays a very difficult zone defense which forces teams to move the ball from side to side and break down the zone with penetration and solid outside shooting. Texas is coming off a year which started off tough after losing big man Cameron Ridley to injury. The 7-footer has missed 20 games, but is now back in the lineup and ready to go for the Longhorns. 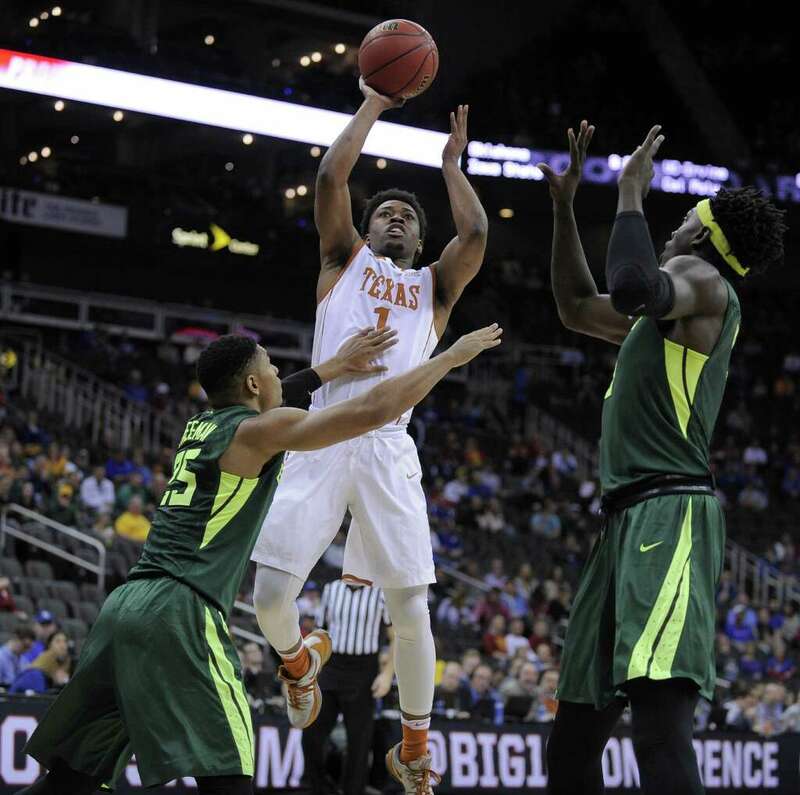 Without having played in some time, there is no guarantee he will be able to make an instant impact, but with his size, the rebounding advantage swings back in favor of the Longhorns. Game 3 features TCU taking on the second seed, West Virginia to begin the evening session. TCU is coming off an upset win over Texas Tech on Wednesday night, and will now take on a team which plays a scattered and hectic defense and forces opposing guards to handle the ball with tons of pressure. Chauncey Collins had a great game on Wednesday, and will now need to focus on securing the ball and breaking WVU’s press in order to get up court and score against a defense which when broken down, can be scored on. Offensively, West Virginia isn’t the best shooting team in the country, but scores a large portion of its points off turnovers. In the nightcap Thursday, Iowa State takes on Oklahoma in what is by far and away the marquee game of the day. Both teams are among the favorites to win the tournament and are two teams which could make plenty of noise in the NCAA tournament. Having to face each other in the first round almost seems like a mistake and instead a match up worthy of the semifinals or the final. Buddy Hield, the Big 12 player of the year, will face star guard Monte Morris and first team all-Big 12 forward Georges Niang. Both teams have dynamic offenses and do most of their scoring from the perimeter with jump shots. Which star can take over for his team will determine the game and one would expect Hield to put on a show. Tickets for Thursday’s session are available now at Tickets For Less. With zero hidden service fees, what you see is what you get, and with the best and most competitive prices, you’ll have the option of seeing all the action in the best seats at the beautiful downtown Sprint Center.